Lexington has a long and important history. Located in the heart of the Bluegrass the city and its citizens have been involved in world affairs politically, economically, and culturally. The history of Lexington dates back more than two centuries and the founding of the town is congruent with the founding of the nation. In 1775 William McConnell and his fellow frontiersman were camped on the outskirts of the current city at what has since become known as McConnell Springs. While encamped at this location the pioneers received word of the "shots heard round the world" and the first battle of the American Revolutionary War at Lexington, Massachusetts. They then named the settlement in honor of this monumental event. Lexington soon became one of the first permanent settlements on the frontier. The town consisted of nothing more than a stockade with the citizens' cabins within the walls. The frontier, at this time, remained a dangerous place and early settlers clashed with the indigenous American Indians. At the time Kentucky was not yet a state but territory within the Commonwealth of Virginia. In 1780 the Virginia General Assembly divided Kentucky County into three separate entities including Fayette, Lincoln, and Jefferson counties. Lexington was deemed the "capital" of Fayette County. In April 1782 the town inhabitants officially petitioned the Virginia General Assembly to become a town. At this point Lexington was transformed from the rough, wild settlement of years past into the community that would soon become known as "the Athens of the West." "Lexington is the largest and most wealthy town in Kentucky, or indeed west of the Allegheny Mountains; the main street of Lexington has all the appearance of Market Street in Philadelphia on a busy day ... I would suppose it contains about five hundred dwelling houses [it was closer to three hundred], many of them elegant and three stories high. About thirty brick buildings were then raising, and I have little doubt but that in a few years it will rival, not only in wealth, but in population, the most populous inland town of the United States . . . The country around Lexington for many miles in every direction, is equal in beauty and fertility to anything the imagination can paint and is already in a high state of cultivation." Epsy in his observations was correct in predicting the future of Lexington. The city would grow to a town of considerable size. Lexington experienced many notable occurrences in the period 1800 to 1833 during which time it became an intellectual and religious center. The first institute of higher learning west of the Alleghenies was established in nearby Danville in 1780 and moved to Lexington in 1789. Transylvania University has remained in Lexington since 1789 and is prominently known as "The Tutor to the West." John Bradford, an early Lexingtonian, published the first newspaper of the West in Lexington. The first library in Kentucky was founded here in 1795. Many religious organizations were founded in Lexington that became firsts for the state and in some cases the west. Christ Church Episcopal was founded in 1796 and was the first Episcopal congregation west of the Allegheny Mountains. Walnut Hill Presbyterian Church is the oldest Presbyterian Church building in Kentucky, built in 1801. Another important congregation in Lexington is the First African Baptist Church. This congregation was founded in 1790 and is the third oldest Baptist congregation of African Americans in the United States and the oldest in Kentucky. Lexington has also served as a major economic center throughout its 225-year history. During the early 19th century, Lexington was a major manufacturing center. Most of this manufacturing centered on hemp production. The hemp was grown on area farms and then manufactured into rope on the many "rope walks" or rope factories within the city limits. John Wesley Hunt an area businessman made his fortune in the hemp and mercantile business, making him the first millionaire west of the Allegheny Mountains. With this fortune he constructed his mansion, Hopemont (the Hunt-Morgan House). Lexington also became an important trade center because of its central location to numerous smaller towns whose citizens traveled to the city for imported goods. During the 20th century much of the money from the Eastern Kentucky coal industry passed through Lexington and helped foster further growth. The Downtown and the North Limestone commercial districts are living testaments to the city's importance as a trading center. Politically, Lexington has been actively involved in affairs of the nation. 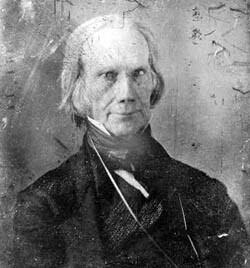 Henry Clay, United States Senator and three time presidential candidate began his political career in a small office on Mill Street and resided at his mansion, Ashland, when not in Washington on business. Furthermore, Mary Todd Lincoln, wife of President Abraham Lincoln, spent her childhood years in Lexington and grew up in the house of her father on West Main Street. John Cabell Breckinridge, vice president under President James Buchanan also hailed from Lexington and a monument honors him on the courthouse lawn. During the Civil War Lexington was controlled by both Union and Confederate factions. 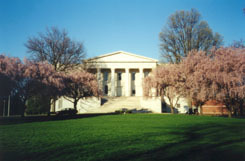 The Union forces used the campus of Transylvania University and were headquartered at the Bodley-Bullock House while the Confederate sympathizers used the neighboring Hunt-Morgan House. Lexington continues to be of great importance as the second largest city in the state of Kentucky and the "Horse Capital of the World." Every year thousands flock to Keeneland to view the annual horse races and to purchase thoroughbreds at its annual horse sales. During the 20th century the city has seen rapid growth and the city limits continue to grow. This rapid growth began around the turn of the the century and many early 20th-century residential neighborhoods, such as the Ashland Park Historic District and the Bell Court Historic Neighborhood District , were built to accommodate this population growth. As we enter the 21st century, Lexington's future continues to looks bright.